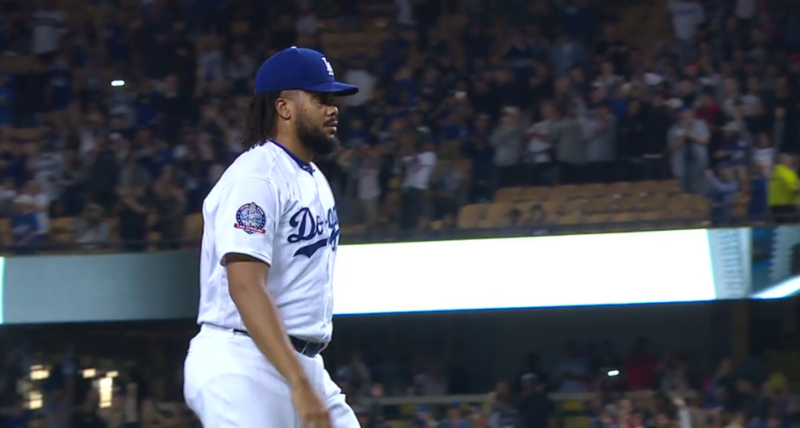 Following the trade deadline, what’s next for the Dodgers’ bullpen? The trade deadline came and went on Tuesday, and the Dodgers added Brian Dozier and John Axford to the club. One is a pitcher, one is not. That raises the question: Did the Dodgers do enough to improve the bullpen? Alex wrote up the Axford acquisition Tuesday afternoon. There are some things to like about the hard-throwing right-hander. 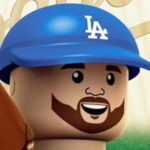 Coupled with the addition of Dylan Floro on the Fourth of July, the Dodgers have added a couple of ground ball relievers to a bullpen that was known for having hard-throwing, fly ball pitchers — Pedro Baez, Josh Fields, Yimi Garcia and Daniel Hudson. Still, this bullpen is not without its flaws. We saw last night that Alexander — despite being incredible recently — is human, and he had his worst outing since the end of June. But unlike Brandon Morrow last year, the Dodgers don’t have that strong, unquestioned bridge to Kenley Jansen. They have guys who are good but volatile (which describes basically every reliever, but it’s magnified with the Dodgers). The Dodgers didn’t pay the asking price for a premium reliever like Brad Hand. They didn’t pay the less-premium price for a guy who seemingly fit them like a glove in Ryan Pressly. They didn’t pay the price for any of the Marlins’ relievers — Kyle Barraclough, Adam Conley, Drew Steckenrider, Brad Ziegler (the only one traded) — nor did they pay the price for any of the Rangers’ relievers (Alex Claudio, Jake Diekman, Keone Kela, Jose Leclerc), which is fine. If this front office is famous for one thing, it’s not overpaying for relief pitching. However, one has to wonder if that is going to come back to haunt them later this season and/or in the postseason (should they make it). They didn’t acquire a starting pitcher either, so moving some starters to the bullpen won’t be as easy. It’s still going to happen because they only need four starters in the postseason, but I’m not sure how much we can count on the guys to transition smoothly. Logic would dictate that Ross Stripling would be OK, seeing as he’s spent more time in the bullpen the last 18 months than he has in the rotation. Alex Wood has relief experience and his stuff could tick up should he move to the bullpen late in the season and/or in October. Walker Buehler, who has been one of the Dodgers’ best starters this season, has not fared well out of the bullpen in the minors or majors (#sss alert). Hyun-Jin Ryu doesn’t strike me as more than a long reliever out of the ‘pen (especially with his injury issues), and Kenta Maeda, despite being incredible last postseason, is the Dodgers’ best starter at present. Julio Urias has been discussed as an option in the bullpen, and Dave Roberts has already said he’ll come back in that capacity, but there’s no way the Dodgers can rely on him or expect significant/stressful innings from him coming off the shoulder surgery. The goal for him is still to be ready to go at the start of the 2019 season. Caleb Ferguson is the starter who is already doing his best to not only push for a postseason roster spot, but to help strengthen the bridge the Jansen. But aside from his last outing, he has been a multi-inning guy in all his relief appearances. Of course, he has been effective, and if he can keep it up then he could be a valuable weapon in the middle innings. So there are plenty of hypothetical options available, but not much of anything in terms of certainty. Immediately, the Nationals’ relievers come to mind — Kelvin Herrera, Ryan Madson and the recently DFA’d Shawn Kelley. All three of them aren’t very good this season and they’re all making significant monies. I’m not sure any of them are upgrades over who the Dodgers have now, despite having longer track records. I’m guessing the Dodgers would pass on that trio. That is basically the pool of relievers the Dodgers will have to choose from. They won’t be able to get guys like Mychal Givens, Craig Stammen, Kirby Yates or the untraded relievers mentioned above because they’d be claimed in a heartbeat. Also, the less than $5 million doesn’t include potential bonuses for Maeda (as much as $4 million) or any of the 40-man roster players who get recalled next month, which could push them into the $196 million range. In actuality, the Dodgers don’t even have enough money to go after a player — let alone a reliever — who is making any kind of money. And since the ones making peanuts will be gobbled up via the waiver process, well, what you see is what you get at this point. So, the Dodgers have 29 days to determine if they have a strong enough bullpen to succeed come October. It’ll be interesting to see if they look to make any moves this month. They might have to trade a contract to upgrade, which makes a deal even more difficult at this stage. It isn’t impossible, but it’s highly unlikely.